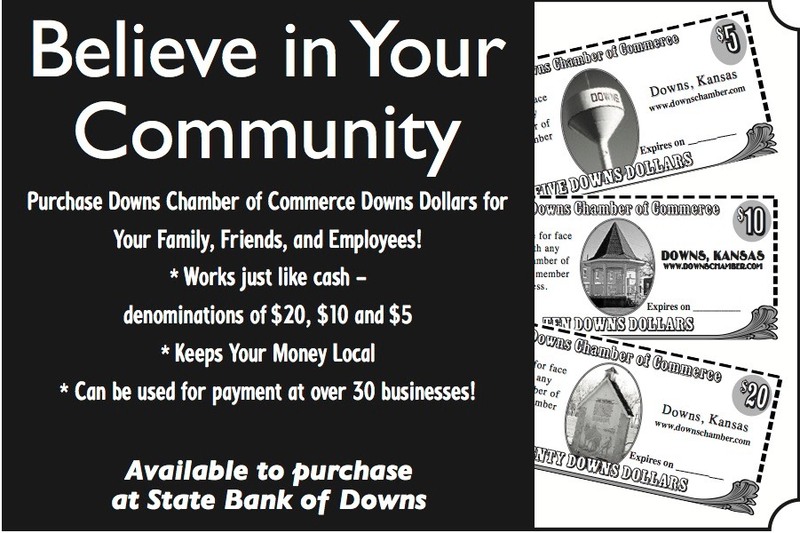 The Downs business community is vital and active in this rural town, and is supported by a wide variety of businesses including industrial, agricultural, retail and service. 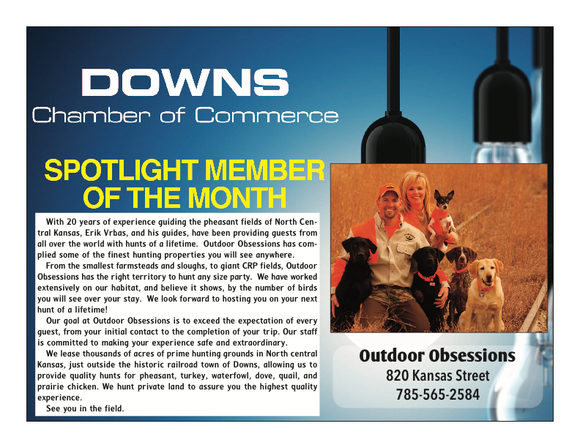 The downtown features many different types of businesses, all within walking distance, covering topics such as clothing, shoes, electronic, art, flowers, automotive, hardware, hair care, groceries, banking, real estate, decorating, gifts, sporting goods, furniture and pharmaceutical. The town sports a weekly newspaper, several eating establishments, automotive care centers, a dental clinic, medical clinic, motels, a bed and breakfast and also a hunting lodge. Griffith Industrial Park is home to several businesses and is always looking to expand. Retail Trade meetings are held the Third Tuesday of the month.